Connect horizontal to vertical runs of tubing. 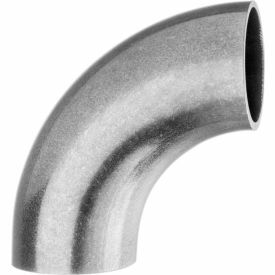 Weld these fittings to metal tubing for a permanent and flush connection that enables maximum flow through your process line. Made of corrosion resistant 304 Stainless Steel and highly polished on the interior for smooth finish that reduces the risk of bacteria growth and residue buildup.